When it comes to your outdoor spaces, but there are a lot of things you can do to transform it into beautiful areas that you and your family can enjoy. One of these is to work with a team of expert landscapers to turn your garden into something amazing. You can also add various features to your outdoor spaces, and truly make it a beautiful and enjoyable area for everyone. In addition to having your garden landscaped, you can also benefit from additional services such as revamping your driveway and adding a patio. This will make your home much more enjoyable, and it will add value to your property as well. Landscaping is considered to be a true art form. Landscaping is when someone uses a variety of techniques to make an outdoor space more attractive, by changing its original design and using various ornamental features. Landscaping can be seen as an art form where the visible features of a garden are changed, including the fauna and flora, and any other elements. Houses with landscaped gardens are always more attractive, as a lot of time and attention is put into making these gardens as beautiful as they can be. It also adds value to your property overall, as it is a great way to add style and beauty to your garden and your home. Landscape gardens also look very neat and organised, and giving your house a great appearance. However, a landscaping doesn't have to be difficult or expensive, especially if you choose to work with experienced landscapers you know how to turn any garden into something simply amazing. When it comes to landscaping ideas, and they truly are endless. It depends on your personal style, as well as the space you have available and your budget. You can turn any garden into a beautiful landscape the area, with the right and techniques. A great idea for your backyard garden is to line your walking paths with beautiful flowers like Lavender. Lavender is a very tough plant so it will be great to feature in your pathway. Another great idea is to add a potting shed to your backyard. If you have a space available, you can turn it into a great shed that is versatile and also very relaxing to work in. Another great idea is to take part of your back yard, in turn, it into a sitting area. You can turn it into a quiet spot where you can relax and unwind, and spend time with family or friends. He doesn't have to be big as you won’t really be entertaining, but it should be a neat and quiet spot to relax. Another great idea is to add elevated steps from your garden to your back porch. It can add some variety to your landscaped garden and I can also add texture and dimension. You can decorate these elevated step with a variety of plants and flowers. When it comes to ideas for your lawn and garden, there are plenty of great options to go with. One idea is to get a manicured lawn, which usually consists of a beautiful layered backyard, green and luscious grass, and a combination of trees and bushes. This is great if you have open spaces available, where you can enjoy having thick and green grass. If you have a well-established garden, great ideas to play around with a different variety of flowers. Flowers can really give colour and life to any garden, especially if he is the right combination of plants. You can choose flowers that have the same colour combination, or you can simply choose to plant a lot of different varieties of flowers to keep a colourful and interesting. Another great idea is to do a metric garden. This means he can play around with various types of patchwork, to create beautiful patterns in your garden. Another great idea for your garden is to use mixed the greenery. This will give you a lot of different textures and colours, and an interesting touch to your garden, with something unique. Don't forget that you can add various paths throughout your garden and you can also play around in terms of textures and styles. These paths can be a great addition to your garden and it will add some style and attention the detail too. If you have a terraced garden, there are plenty of great ideas that you can go with. You can really play around with different styles until you find something unique that will add value to your property. You can go with a traditional terraced backyard garden, which has a paved pathway surrounded by various plants and herbs. You can also add a pool and spa to your terraced garden area. This is ideal if you have a lot of space to work with, and this is especially great for larger homes. Another creative idea is to use your back your backyard to create terraced outdoor rooms. You can then easily step out of your house on to various terraces, starting with a deck area and leading down all the way to swimming pool or a stretched out lawn and garden. There are plenty of great modern garden ideas, which is perfect for modern homes, or homes that are in need of a little change. Modern garden ideas can include bold plants and flowers, and flat, luscious grass areas. Modern gardens are beautiful to look at and even more enjoyable to own. Minimalist features are synonymous with modern landscaped gardens. It’s a great way to allow your home to look modern and stylish, without having to revamp the property or building itself. Open spaces with level swimming pools and clean cut grass will always feature in modern garden layouts. 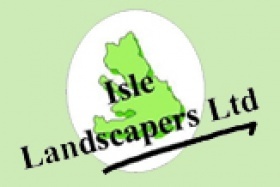 As a leading landscape gardening expert, Isle Landscapers specialise in a variety of gardens, including modern gardens that are created with your unique goals in mind. If you have a small garden, you may be looking for small garden ideas that you can use to add some style and variety to your garden. Small gardens are not necessarily difficult to work with, but that depends on the current layout as well as the space you have available. Small garden ideas include a patio area where you can extend your guests’ stay and entertainment. You can also choose to play around with many different plants, and choose a colour scheme or texture that will work best for your specific outdoor space. Long gardens have much more space for you to work with, making them great for landscapers. You can use plenty of ideas for long gardens, which will allow you to add beautiful themes for your home and property overall. One idea to remember is to get the shape of the garden and walkway right and it will be great to look at all year round. Play around with shapes to attract attention away from the garden’s ends, and to also focus on specific areas within the garden. Another great idea for a long garden is to give each area a purpose. This can be a play area for the kids, an outdoor patio where you can relax and unwind, or even a swimming pool to add style and value. You can play around with endless options when it comes to landscaping and all of these ideas will help to increase the overall value of your property and allow your guests to enjoy the view.